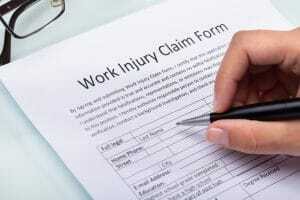 Home » Blog » Can You Be Fired for Filing a Workers’ Compensation Claim? Employers are prohibited from terminating an employee for filing a workers’ compensation claim. If you are hurt or develop an illness at work, you may be entitled to file a workers’ compensation claim. Workers’ compensation is a type of insurance that provides no-fault coverage for employees who are injured or become ill at work. But some workers may worry about exercising their right to workers’ compensation. What if your employer has expressed hostility towards employees who file for workers’ compensation? Can you be fired if you file for these benefits? The short answer is no. In all 50 states, employers are forbidden from terminating an employee solely for filing a workers’ compensation claim. If an employee is fired for filing a claim, he or she may have grounds for a wrongful termination lawsuit. A skilled wrongful termination lawyer can work with you to determine if your case has merit. However, most states — including California and Arizona — are at-will employment states. That means that unless you have an employment contract, your employer can fire you at any time for any non-illegal reason. For example, if your employer decides to fire you because you came into work late once, that would likely be legal if you are an at-will employee. As a wrongful termination lawyer can explain, if you sue your employer, arguing that you were fired because you filed a claim for workers’ compensation, he or she will likely claim that there was a different, legal reason that you were fired. They may come up with a list of reasons, such as doing unsatisfactory work, calling in sick too often without a medical excuse, or taking too many personal phone calls during the day. A skilled wrongful termination lawyer may be able to show that these excuses are just a pretext — that the real reason that you were fired is because you filed for workers’ compensation — depending on the facts of your case. The closer in time that your firing was to your claim filing, the more likely it is that your termination was in retaliation for filing for workers’ compensation. Similarly, if management has made negative comments to you about your claim, that may be evidence that your termination is retaliatory. If you were fired because of your workers’ compensation claim, you may be eligible for additional benefits through the workers’ compensation system. In California, you could be eligible for up to 50% of your workers’ compensation benefits if your employer fires you or discriminates against you because of your workers’ compensation claim (up to $10,000). Depending on where you live, you may also able be able to file a wrongful termination lawsuit to recover damages for your lost wages and other expenses. A skilled wrongful termination lawyer can work with you to determine whether you are able to file a legal claim, or if you must proceed through the workers’ compensation system. At PLBSH, our attorneys have experience in both workers’ compensation and wrongful termination law. We will work with you to help you decide how to best move forward with your workers’ compensation claim, and advise you on the possibility of filing a wrongful termination case. If you have questions about workers’ compensation or wrongful termination, contact us today at (800) 435-7542 or info@plbsh.com to schedule a consultation.